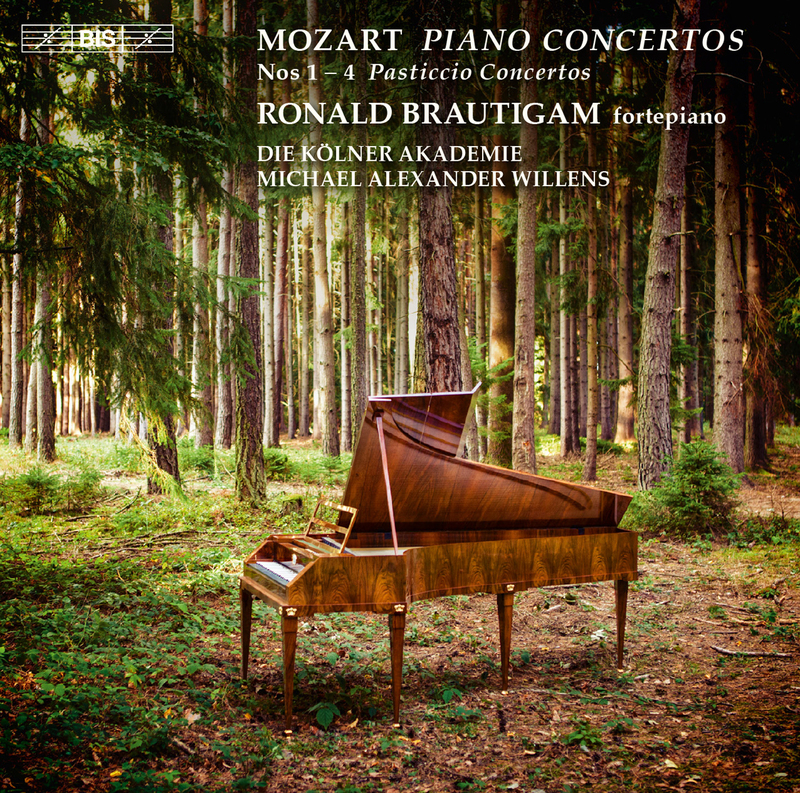 Throughout the ten previous discs in their series of Mozart’s complete piano concertos, Ronald Brautigam and Die Kölner Akademie have offered up fresh, sometimes bracing readings of these perennial favourites. ‘An ideal mixture of clarity and stylish effervescence’ (International Record Review), ‘as near as dammit what Mozart’s audiences would have heard’ (Classic FM Magazine) and ‘a completely new, crisp ‘Mozart-feel’ for the 21st century (Stereoplay) are just some of the responses from the international music press. Various instalments, have also received special recommendations from websites and magazines such as Klassik-Heute.de, Luister, Scherzo and, most recently, Gramophone, which listed volume 6 (BIS-1844) among its ‘50 greatest Mozart recordings’. In this final volume we are treated to Mozart’s very earliest attempts in the genre – the four so-called ‘pasticcio concertos’ from 1767. In these works, the 11-year old budding composer expands existing sonata movements into proper concertos, possibly partly as an exercise given him by his father Leopold. For a long time the concertos were thought of as original works, and it was only at the start of the 20th century that the truth began to emerge. Of the twelve movements that make up these concertos, eleven are based on keyboard sonatas by other composers, and only one – the slow movement of K 37 – is an original composition, probably a collaboration between father and son. 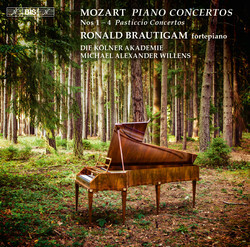 A few years later Mozart would adopt a similar approach in the three unnumbered concertos K 107 (appearing on the previous disc in this series), which were arrangements of sonatas by Johann Christian Bach. But in the case of concertos 1-4, each work is based on originals by more than one composer, and while the K 107 set are arrangements for keyboard and strings, the scoring here also includes woodwinds, and in K 40 also trumpets.